The last of Newman's books I read was, for me at least, at little disappointing. Deapite being a fan of the genre I found his 'An English Ghost Story' a little underwhelming. I think this was one of the things that contributed to me struggling to get traction with this one. The other, and probably more likely, thing was all the pain and subsequent morphine that I was in and on at the time after breaking my hip. So, after putting it aside for a few weeks I returned to it yesterday and read the remaining 300 pages. 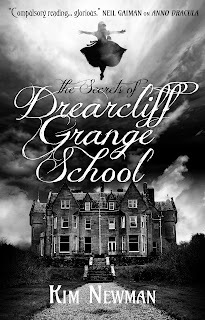 Drearcliff Grange is a school for 'unusual' girls. The daughters of criminals, spies, mad scientists (oh, and the grand-daughter of a certain time travelling alien) and those who are gifted in some way. Our lead is one Amy Thomsett, a moth obsessed young lady with a habit of floating up into the air when she stops concentrating on not doing exactly that. Packed off to the school by her scandalised mother she is roomed with the bombastic 'Frecks', the tempestuous, slightly murdery and gangster obsessed Kali and fellow 'unusual', Lightfingers, with her lightning fast hands. The four bond immediately as Amy navigates the intricacies of school life and the politics of the house system. Soon though danger and intrigue is thrown their way and the girls have to reinvent themselves in order to save one of their number before and even bigger calamity unfolds and we get to meet the other unusuals that inhabit the school. As with his 'Anno Dracula' series Newman has built a world where the rules are slightly off. Here, rather than vampires, it's the pulp hero style of superheroes of the Doc Savage, Phantom variety of the type that Alan Moore pastiched in his 'Tom Strong' books or the 'Wold-Newton' series by Philip Jose Farmer. It's linked in also with one of Newman's other book series featuring Arthur Conan Doyle's 'Diogenes Club' which hopefully Titan Books will get around to reprinting sometime soon as the originals are too expensive for my pockets. 'The Secrets of Drearcliff Grange School' though is a book that fizzes with energy and is filled with characters with quirks and kinks that make them feel alive beyond their unusualness. It is, of course, an adventure romp but also it's a story of acceptance of both self and others and about friendship and the forming of bonds. 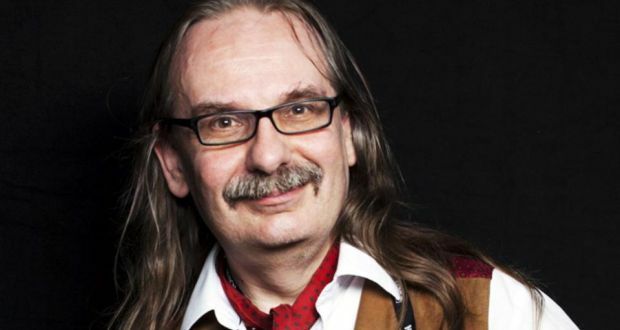 It is cracking good fun that manages to be both utterly 'jolly hockeysticks' and entirely St Trinian's at the same time as being fully Newman. Welcome to Wyrd Britain, a blog concerned with stories in, of, from and about a stranger Britain.